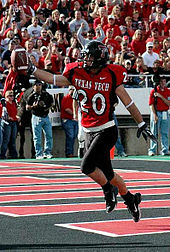 Amendola signed as an undrafted free agent with the Dallas Cowboys on April 27, 2008. His attempt to make it to the NFL was featured on the HBO special Hard Knocks. 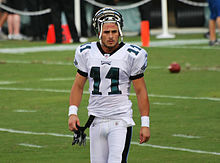 Amendola was cut by the Cowboys on August 30 and re-signed to the practice squad after clearing waivers. He spent the entire 2008 regular season on the team's practice squad, and never saw regular season action. Since 2016, Amendola has been in an on-again-off-again relationship with former Miss Universe and model Olivia Culpo. ^ "Olivia Culpo and Danny Amendola Appear to Be Back Together After NFL Star Got Close to Another Woman in the Fall". PEOPLE.com. Retrieved 2019-02-25.